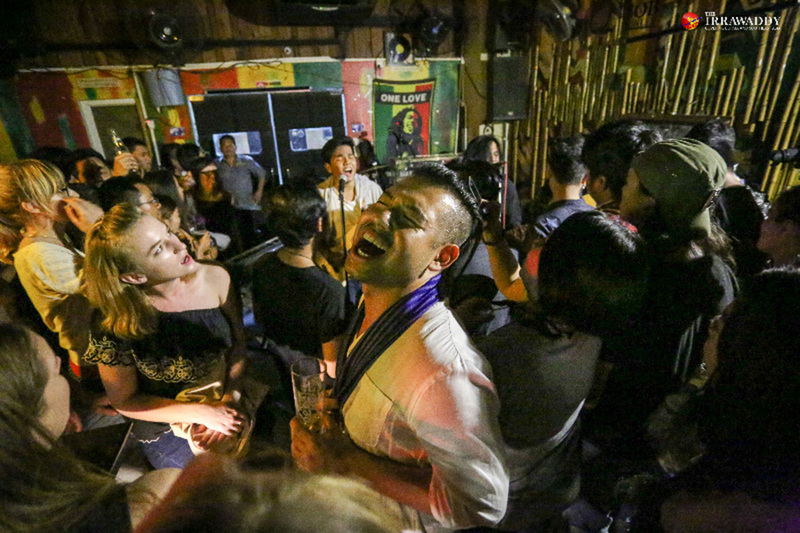 The live music scene in Yangon is small, with most of the events taking place in bars featuring indie, metal, punk and hip-hop acts. A few months ago, a great local indie band, The Peacists, released their first album, a collaboration with another band called General Tiger Gun. 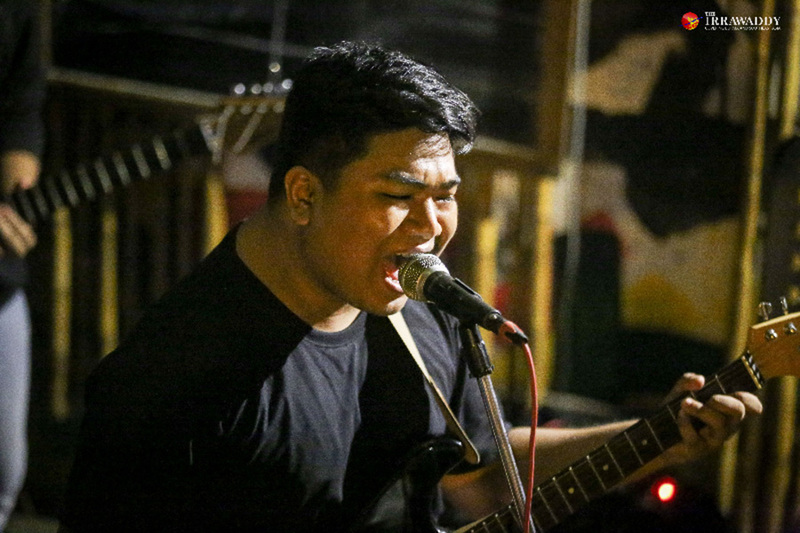 I loved the album and when I heard The Peacists and two other up-and-coming indie bands, The Reasonabilists and Mooni, would perform at the 7th Joint Bar, I decided I had to be there, front and center to catch all their songs. The gig happened last night, with the bands kicking off their performance at around 8pm, an hour after the scheduled start time of 7pm. We had arrived at the bar before 7pm along with a small crowd to catch the bands doing their sound checks and happily waited for the chance to lose ourselves in this funky indie music. 7th Joint Bar has two floors with the bands playing on the ground floor. There were a few tables and room for about 20 to 50 people to stand, more or less face-to-face with the band. We took the nearest table as the band finished their set-up. 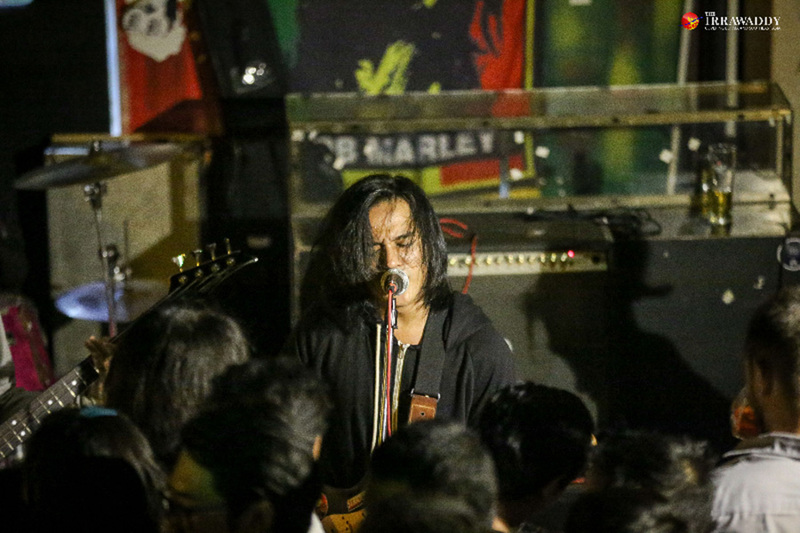 The gig was opened by The Peacists, who set the tone for an energetic show and quickly got the crowd going. The band has three members while the vocalist from The Reasonabilists also joined in as a guest guitarist. 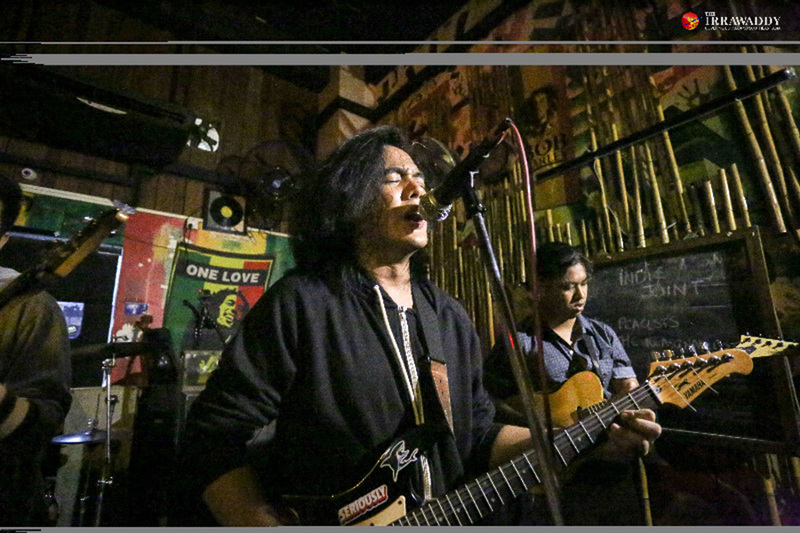 They performed their popular songs from their album and the bar came alive with The Peacists’ melodic tunes about love, earth and people. Getting to stand right in front of the band and feeding off their energy was a great experience. The drumbeat and the bass had everybody shaking their heads and legs along with the music. The guitarist was jumping around with his guitar while the vocalist was busy with his microphone and a guitar as well. The band performed a total of seven songs — all original. The crowd wanted more; but the band couldn’t continue, undermined by a broken guitar string. The Reasonabilists then stepped in to keep the crowd happy. The vocalist has an energetic and sweet voice while he also plays the guitar as well. The band started with their own song, an English-language song called “Flowerbed”, while their set of six more songs included covers of classics such as “Mr. Brightside” by The Killers and “With or Without You” by U2. The crowd roared their appreciation and sang along. The vocalist showed great control of his voice so as not to destroy the famous songs he was covering. The Rreasonabilists style was a bit different from that of the Peacists but the crowd loved it and they ended their set gracefully. When Mooni took to the stage, the crowd had thinned. Maybe because the lead vocalist is a foreign girl and it was getting late, and people were thinking about having to get up and go to work the next morning. But our group stayed until the end, even though we didn’t know the band’s songs. But they performed well, playing about seven songs to the small remaining crowd. The gig finished around 11 pm but the bar stayed open, playing international indie and rock songs on its sound system. 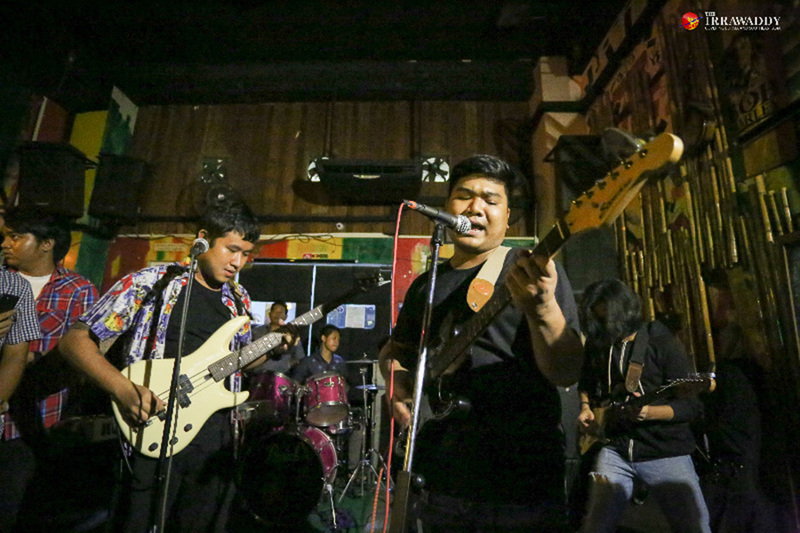 So, instead of a typical boring Thursday night in Yangon we had a funky night of lively indie music. People were still chilling at the bar, while we left with our great new memories.